This week Bon Vivant and a Budget was featured on Independent Fashion Bloggers Links a La Mode. 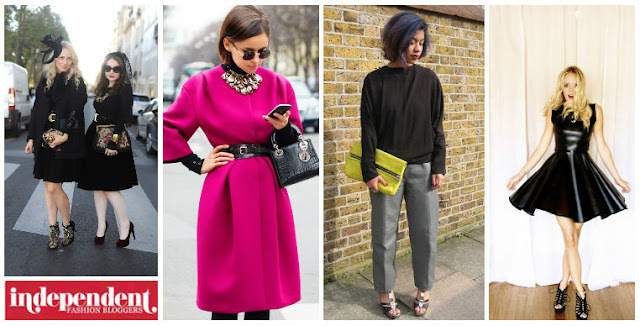 Links a la Mode is a roundup of the fashion blogging community's top 20 posts of the week. …At least when it comes to Fashion Week. Many of this week’s posts were inspired by both the collections and the street stye scene during the SS13 shows in Paris. It’s also no surprise that with Autumn finally taking a (nice, crispy grip) on just about everyone’s mind, there were many posts on your favorite cool weather trends (leather, anyone?). To round things out, we had some truly thought-provoking and inspiring posts on Dolce & Gabbana’s earring controversy, Solange’s latest video, and menswear versus womenswear. Dress Code High Fashion: Who Deserves to Sit Front Row?